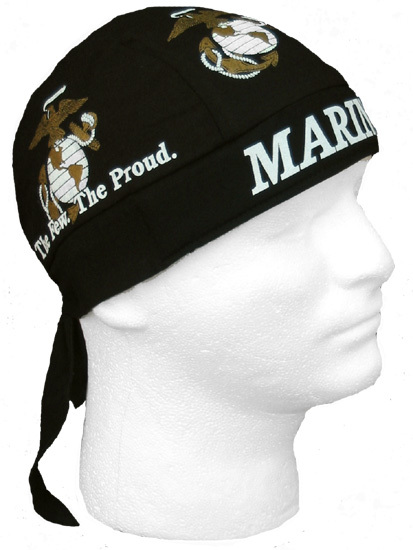 Black design with US Marine Corps logos and Marines text on front. 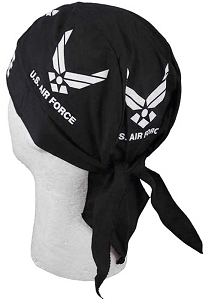 Terrycloth sweatband sewn in to forehead area for comfort. One size fits all. 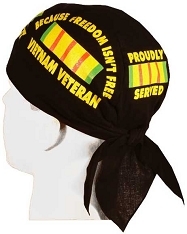 I bought this for my husband who is a Marine. He loved it! He said it fits good and was very comfortable to wear, not to mention he looks pretty cool in it. I hightly recommend!